“I remember teachers telling you that you had to be twice as smart and twice as quick as your white counterparts just to make it,” recalled James Patterson, who was born in 1952 in Maxton, North Carolina. In this conversation English and Patterson talk about the connection between black churches and the Civil Rights Movement. “The black church was the bastion of liberation. It was what black folk felt they controlled,” said English. Patterson said his work as a minister has been shaped by his experiences of growing up in the deep south, where he experienced racism, and by his belief that religious faith could help bring about social change. “I believe that we are called, not only to fight what we consider sin, from a theological perspective, but we are called to fight injustice, and we are called to fight inequality, and we are called to fight evil, in whichever way it comes. That’s my calling,” said Patterson. This interview was recorded as part of the American Pilgrimage Project, a partnership of the national nonprofit, StoryCorps, and Georgetown University's Berkley Center for Religion, Peace, and World Affairs. This story was recorded in Charleston, West Virginia and was produced by Dan Collison. The director of the American Pilgrimage Project is Paul Elie. Adelina Lancianese, Anjuli Munjal, Christina Stanton, Gautam Srikishan and Maura Johnson also contributed to this story. 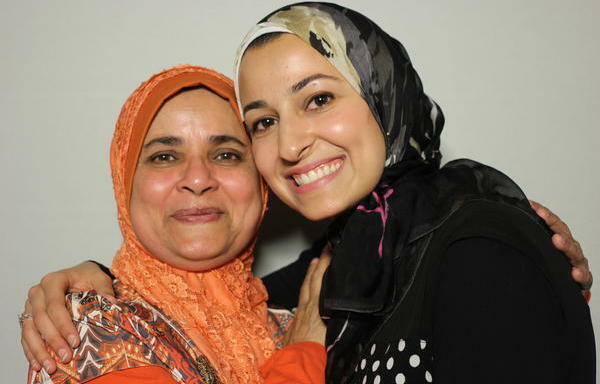 "Growing up in America has been such a blessing," Yusor Abu-Salha said in a conversation with a former teacher that was recorded by the StoryCorps project last summer. She later added, "we're all one, one culture." The recording gives us a new insight into Abu-Salha, 21, who was killed Tuesday along with her husband, Deah Barakat, 23, and her sister, Razan Abu-Salha, 19, in Chapel Hill, N.C.
NPR will broadcast part of Yusor Abu-Salha's conversation with her former teacher on Friday's Morning Edition, as part of its StoryCorps series.